The good news? With a little bit of prep and our killer primer on hair braids, you can rock your natural hair all season long. Here’s everything you need to know about how to protect your ends – and look super cute – no matter what the forecast says. Wigs, Weaves, and Scarves, Oh My! Literally nothing about transitioning from relaxed to natural hair is easy. Add winter into the mix, and you’re facing down a perfect storm of bad hair days. Avoid breakage and dry, frayed ends by using protective styling, especially when those temps start dipping into the 30s. Just make sure your style works for your hair type, cautions hair stylist Anthony Dickey. Okay 3cs and 4bs! Before you start paging through your Instagram looking for killer braids, make sure you’re prepared to properly moisturize your scalp and hair. “The tighter your hair texture, the more required it is to prep your hair before you braid up or add in any weave,” Dickey explained. Rich shea butter or coconut oil will give you just the right amount of moisture while you’re rocking those braids. But the quest for moisture doesn’t stop once your hair is braided. Even while you’re rocking a protective style, it’s important to beat dryness to the punch. 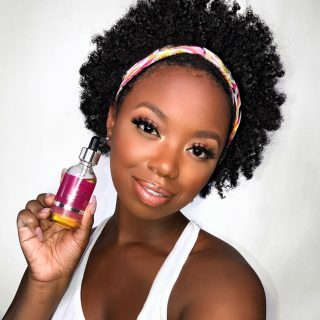 Adding just a few drops of moisturizing oil to your scalp and ends can help you make it to your next wash day without feeling frazzled or fried. LaCombe recommends washing your hair every 10 to 14 days to keep your scalp free of product and oil buildup – without sapping moisture from your hair. But be prepared – wash day can take all day, warns Barbara Gonzalez at Self. “The biggest complaint most people have about giving up relaxers: how incredibly time consuming styling can be, especially on wash days,” writes Gonzalez. 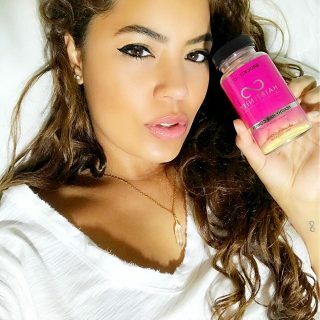 “Pick a day where you don’t have much on your agenda, so you can complete all of your routine—hot oil treatment, shampoo, deep conditioner, and styling—on that day,” she adds. In between shampoos, you can also keep moisture in by co-washing, or rinsing your hair with conditioner. 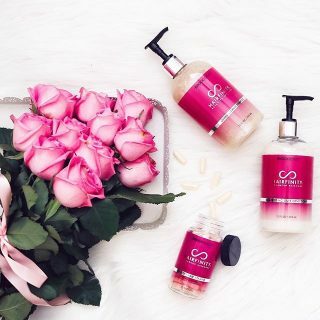 “Since unshampooed hair retains more of its natural oils than shampooed hair, the conditioner’s moisturizing agents will now leave strands even smoother and silkier than usual,” stylist Nicole Tresch explained to Real Simple. (Yeah, co-washing is our new BFF, too). With newly conditioned and totally prepped hair, you’re ready to rock a protective style that will save your ends. Just be careful not to get too obsessed with pulling your hair back, since leaving hair in a protective style for too long can cause damage. 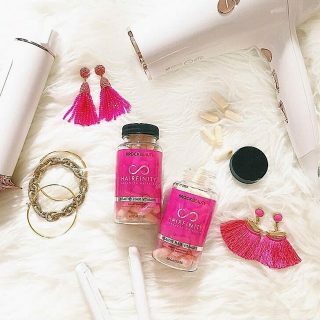 Let your hair down every few days, especially if you’ve been rocking a ponytail or tight, high bun. “These looks can thin out your hairline and damage your roots from all the tugging and excess force,” explains Gonzalez. Honestly, thank God for BuzzFeed. These ladies have a ton of ideas for styling natural hair – even if you’re new to managing curls on your own. “Jumbo braids are a good alternative to box braids because they’re lighter and create less tension on your hair,” explains BuzzFeed’s beauty editor Essence Grant. “The key is to part your hair off into very large sections. Note that if you braid really tight, the braids will be more stiff. For more swing, braid loose enough so that your hair moves,” Grant adds. Looser braids will also give your hair a bit of a break, making it less likely to pull strands or cause unwanted thinning. Get your afro under control with an off-center part, two loose braids that crown your head, and plenty of bobby pins. Not only will this style protect your ends, but it’s also perfect for getting long hair away from your face and neck while still looking totally chic. YouTube star It’sMeBFairley shows you how to get it done. Feeling brave? Bantu knots can be complicated for first-timers but offer plenty of protection. “Shampoo and condition the hair as you normally would. Then, using a rat tail comb, detangle and evenly section off the hair into diamond, triangle or square shapes,” explains Princess Gabbara at Ebony. With your hair sectioned into whatever pattern’s easiest, twist each section, wrap ends at the base of the twist, and bobby pin into place. Voilà! A protective bantu knot. 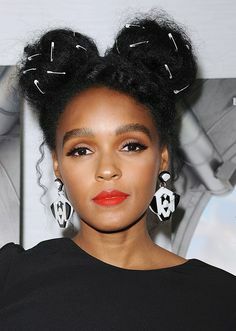 If this style is too much to handle by yourself (we totally get it), just opt for a Janelle Monáe-inspired double bun. “Updos can put a lot of tension on your growing hair, so let it relax with loose twists,” writes Taylor Bryant at Refinery29. “Plus, you’re able to add some needed nourishment if you seal in the ends with a bit of oil or serum,” she adds. Learn how to get this look here. Like the idea of a Bantu knot but don’t exactly feel like channeling Lauryn Hill? Keep it understated with a twisted knot that combines the best of braiding with a single, large Bantu-inspired knot at the nape of your neck. This style works best if your hair’s already quite long and stretchy. Learn how to get the look here. “Unlike most protective styles, this look uses ponytail holders to start the look,” explains Lauren Turner at Bustle. Get a full tutorial from MahoganyCurls here. You’ve prepped, you’ve moisturized like crazy, you’ve perfected your braids until your auntie would be glowing with pride. But if you don’t take two extra steps to stay on top of your protective styling, all that wrapping, twisting, and braiding will amount to nothing. Ladies, the ultimate protective move – even if you’re worried about maintaining length – is to cut your hair. Regular trims remove dry and fraying ends, which is just unhealthy growth that’s not doing you or your hair any favors. “Every time I washed my hair the dead ends would get all knotted up, so trimming my hair made it more manageable and cut down on my styling time,” explained stylist Monique McCorkle to Self. Sound familiar? Head to your stylist every month or so to make sure dead ends and knots don’t stand in the way of your hair’s health. Finally, be sure to invest in a silk scarf for sleeping. 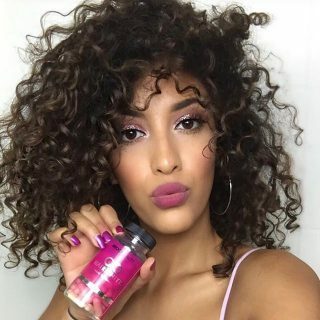 Not only will it protect your hair while you get your beauty rest, but it’ll also help keep moisture where it belongs – in your curls. 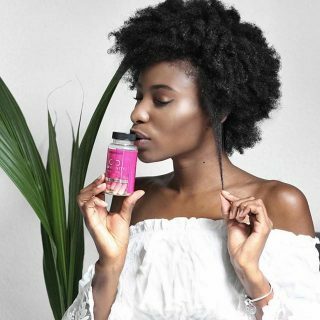 When you’re transitioning to natural hair, it can feel like a full-time job to take care of your curls – and you’re already busy being fabulous! Cut down on styling time with simple braids and twists, and, better yet, protect those ends from dryness and damage.